The feature-rich golf GPS watch, the GolfBuddy WT5, takes you one step further with a slimmer design and a more comfortable fit to your wrist than its previous model. You can fully utilize Dynamic Green View and moveable pin placement features with simple press-and-hold buttons. 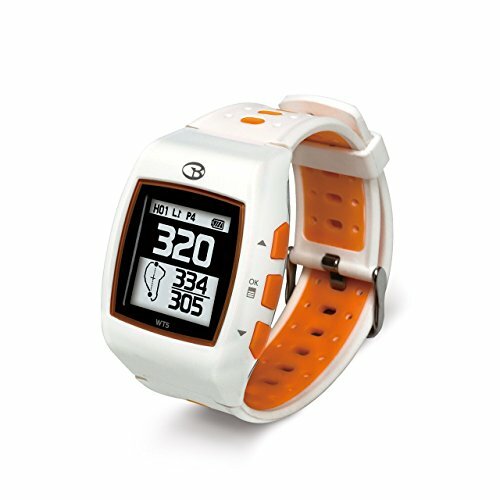 The GolfBuddy WT5 features automatic hole/course recognition, shot distance measurement, digital scorecard, distances to targets and hazards, pin placement, an 8 Hour battery life in Golf Mode and 20 days in Watch Mode. GolfBuddy is a leading innovator in the golf rangefinder industry with a primary goal to provide the most accurate and innovative golf rangefinders in the market. Each of our GPS units comes preloaded with over 37,000 courses worldwide and as always, our products are 100% fee free. We never charge download fees or annual subscriptions. We also guarantee free lifetime course and software updates. Our tagline reads, "Accuracy Matters' and it is a mantra that we, at GolfBuddy, hold near and dear to us as it is reﬂected in our product line.